A SiteOrigin Site Pack is a WordPress plugin that automatically installs the theme, plugins and content you need for a full website. Install it by navigating to Plugins > Add New, then upload the ZIP file. We have a Site Pack tutorial if you need more detailed help. 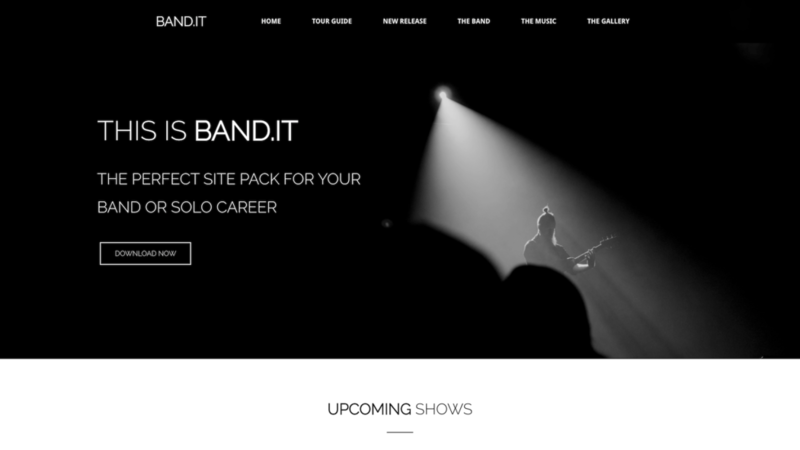 Bandit is a fully functional pre-built website template designed for bands and solo artists looking to engage their fans, share their music, advertise tour dates and make their mark. Welcome to Bandit. A hipster style Site Pack perfect for all those top knot kinda bands looking to make their mark. Bandit is a fully functional pre-built website template designed for bands and solo artists and comes complete with a homepage, tour guide, music portfolio and image gallery. Bandit uses SiteOrigin’s North Theme and the whole website is made possible using our Page Builder, Widgets Bundle, and CSS Editor plugins. The home page features a single slider with bold overlay text to engage your fans, share announcements and take them straight to the music. You can share a few upcoming shows with venue details and links for easy booking. And access the tour guide page for a comprehensive list of tour dates. Announce new releases and offer quick access to all your recent albums with a post beautiful carousel. You can also give your fans a little insight into the band behind the music and get them sharing on social media. The Music Page showcases your albums in a post grid allowing fans to filter by category, while each album page features an accordion style song list with expandable lyrics and an audio widget for linking to 3rd party music sites such as soundcloud or linking to self hosted songs. The gallery page uses the same post grid at the music page, allowing fans to filter the galleries by category and find the event they are looking for quickly. The default gallery is created using the SiteOrigin Simple Masonry Widget and a Headline widget for the Gallery Title and Description. All Bandit Posts and Pages are easy to edit, and if you have all your content ready, you can have a brand new music website up and running in just a few hours. If you are looking for something a little less top knot with a little more color, then check out LOUD, another SiteOrigin Site Pack for musicians that might just be what you are looking for. 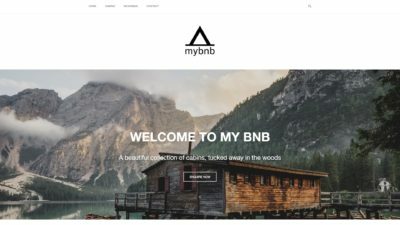 MyBnb is a fully functional pre-built website template designed for BnB’s and Hotel websites. 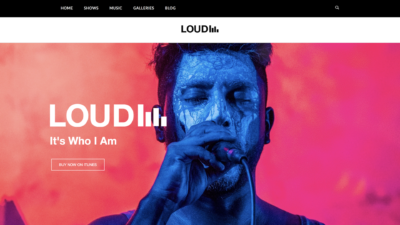 Loud is a fully functional pre-built website template designed for all those pop style bands and solo artists looking to engage their fans, share their music, advertise tour dates and make their mark. 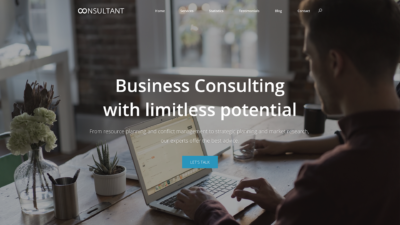 Consultant is a fully functional pre-built consultancy website catering for the first time entrepreneur or well established consultancy. Consultant is bold, with an emphasis on details.